So you might have guessed by various social media posts (instagram @katiejaneonline) I am now home feeling extremely sad that I don't have any more adventures planned for this year, (well we all know that won't last long!!). But I wanted to write my diary for the finally day skiing. 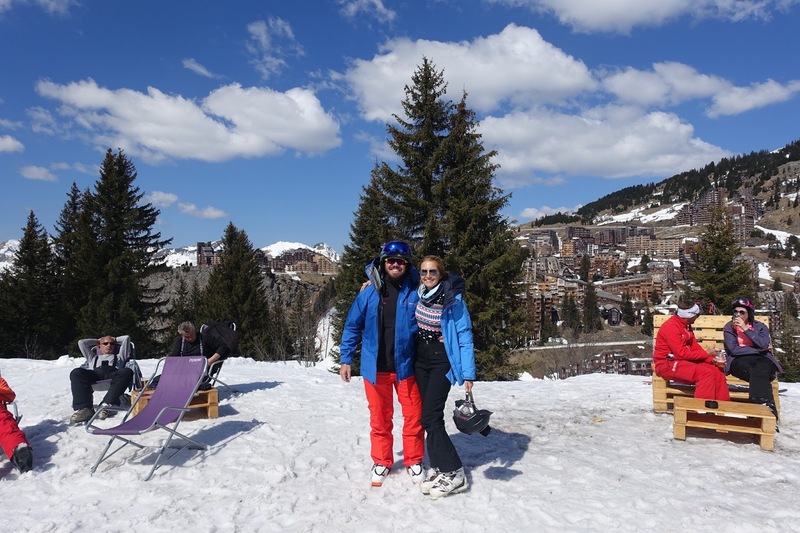 We weren't leaving our chalet until half 5 so we had plenty of time to head to the slopes. 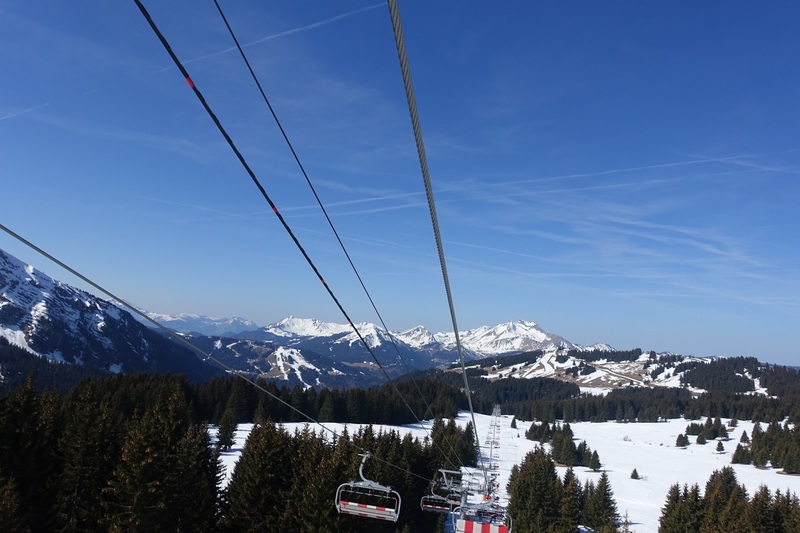 As our lift passes had finished we had to get a 5 hour pass so we could get some ski time in. We went down my favourite blue one before heading to a harder blue, where I fell over on the ice and managed to really hurt my ITB. It hurt so much I struggled to put my weight on it so ski's were taken off while I sat at the side of the mountain for a moment. 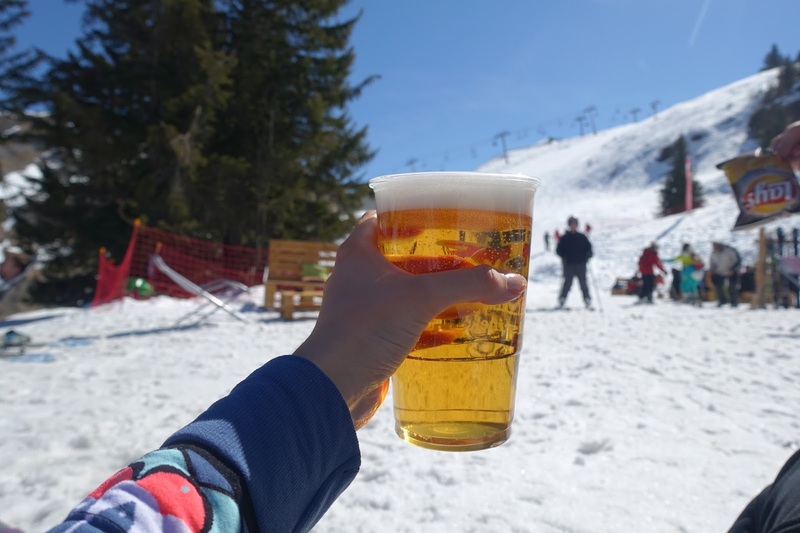 Luckily for me the bar was only a 2 minute ski down from where I was sat so once the bulk of the pain was gone from my leg I popped my ski's on and make my way to the Igloo village. 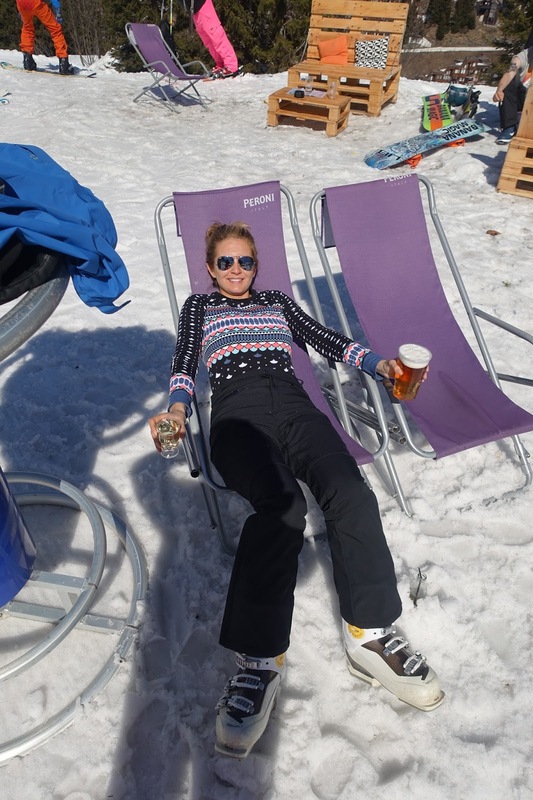 As you can see, skiing was such hard work!! Matty and I chilled in the bar for quite some time before we made our way down the final slope and got on the bus to pack our room up. 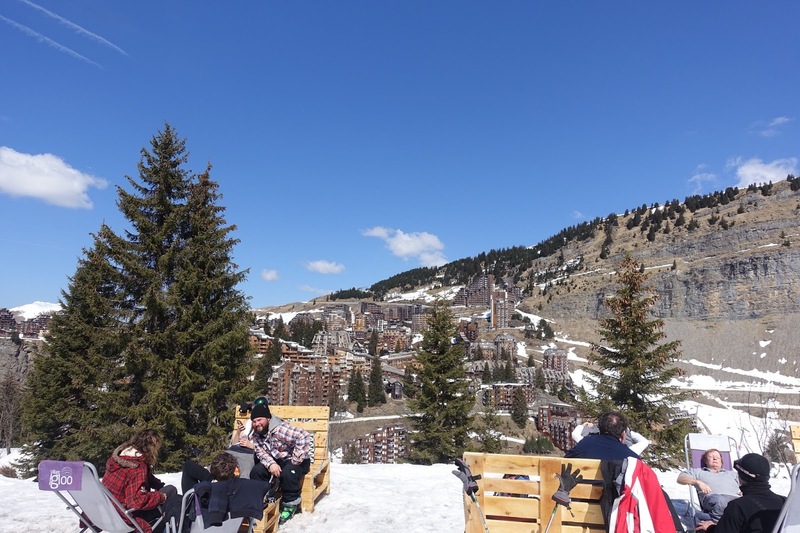 We chatted about how the holiday had went, how my skiing has improved, where he'll be heading next with work and when we'll be back in Morzine. It was so lovely lying in the sun, looking at the clear blue skies, listening to the music playing and feeling the snow underneath my boots. When our transfer came to take us back to the airport all our chalet staff were outside waving us off and telling us how much they were going to miss us. I almost cried as I really didn't want to leave. 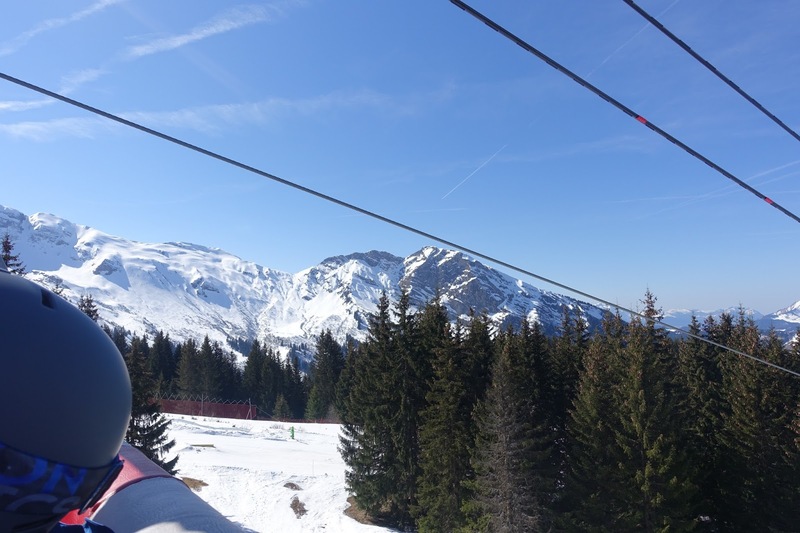 Morzine - you were the best first ski holiday and I truly caught the bug from you. 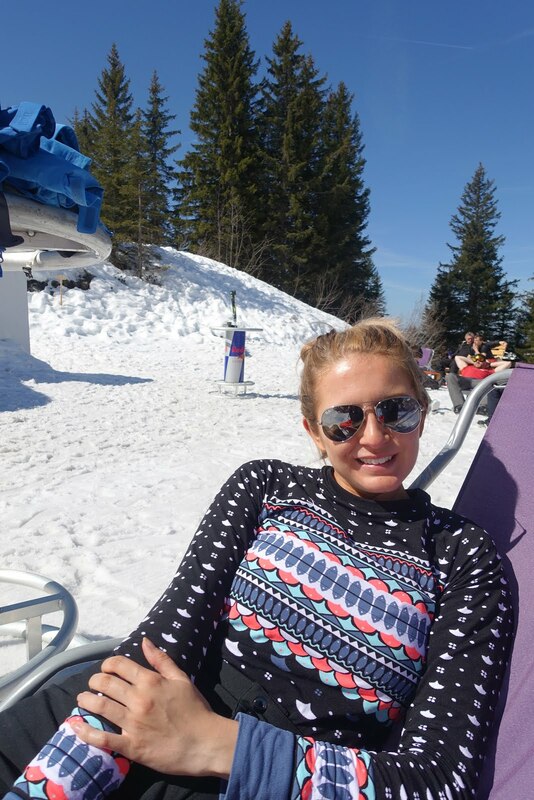 I can't wait to get my ski's on again! See you soon.